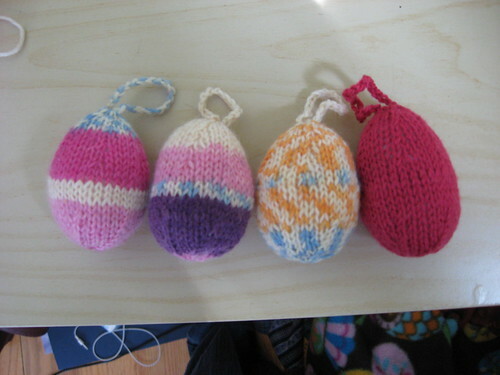 Knitted eggs, originally uploaded by Craftydiddl. I see you are “Easter”ing it up over there! The knit eggs are lovely. They are much more practical than the real eggs and just as creative.